Accreditation is a voluntary activity that validates the quality of the university and its programs. When evaluating credentials, employers and universities often look for applicants who earned a degree from an accredited university or program. Prospective students can be assured that an institution or program that meets the rigors of accreditation practices with the highest standards. The University of St. Augustine for Health Sciences is accredited by the WASC Senior College and University Commission, 985 Atlantic Avenue, #100, Alameda, CA 94501, (510) 748-9001. The Master of Science in Nursing (MSN) program at University of St. Augustine for Health Sciences is accredited by the Commission on Collegiate Nursing Education, 655 K Street, NW, Suite 750, Washington, DC 20001, 202-887-6791. 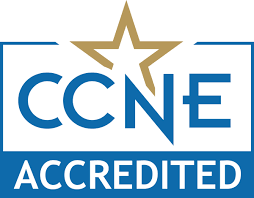 The Doctor of Nursing Practice (DNP) at the University of St. Augustine for Health Sciences is pursuing initial accreditation by the Commission on Collegiate Nursing Education (CCNE), 655 K St., NW, Suite 750 Washington, DC 20001, (202) 887-6791. Applying for accreditation does not guarantee that accreditation will be granted. The *Doctor of Physical Therapy Program at the University of St. Augustine for Health Sciences is accredited by the Commission on Accreditation in Physical Therapy Education (CAPTE), 1111 North Fairfax Street, Alexandria, Virginia 22314; telephone: 703-706-3245; email: [email protected]; website: http://www.capteonline.org. If needing to contact the program/institution directly, please call or email the Chair of the Institute of Physical Therapy at 904-826-0084 x1230 or [email protected]. Graduates are eligible to take the national licensing examination administered by the Federation of State Boards of Physical Therapy (FSBPT). In addition, all states require licensure to practice. After successful completion of the national exam and receiving state licensure, the individual will be a Physical Therapist (PT). A felony conviction may affect a graduate’s ability to sit for the FSBPT examination or attain state licensure. Graduation from a physical therapist education program accredited by the Commission on Accreditation in Physical Therapy Education (CAPTE), 1111 North Fairfax Street, Alexandria, VA 22314; phone; 703-706-3245; [email protected] is necessary for eligibility to sit for the licensure examination, which is required in all states. The University of St. Augustine for Health Sciences is seeking accreditation of a new physical therapist education program from CAPTE for its Dallas, TX campus. The program is planning to submit an Application for Candidacy, which is the formal application required in the pre-accreditation stage, on December 1, 2019. Submission of this document does not assure that the program will be granted Candidate for Accreditation status. Achievement of Candidate for Accreditation status is required prior to implementation of the professional phase of the program; therefore, no students may be enrolled in professional courses until Candidate for Accreditation status has been achieved. Further, though achievement of Candidate for Accreditation status signifies satisfactory progress toward accreditation, it does not assure that the program will be granted accreditation. Complaints about the program may be submitted to CAPTE by requesting the Procedures for Handling Complaints about an accredited or developing physical therapy program. This document can be obtained by writing to CAPTE at 1111 N. Fairfax Street, Alexandria, VA, 22314, by calling 703-706-3245, or by visiting www.apta.org. The first professional St. Augustine, Florida Master of Occupational Therapy program (MOT) was accredited by the Accreditation Council for Occupational Therapy Education (ACOTE), 4720 Montgomery Lane, Suite 200, Bethesda, MD 20814-3449, 301-652-AOTA, www.acoteonline.org, in April 1999 and reaccredited in April 2009. The flex format was added in St. Augustine, Florida in May 2012 with full approval from ACOTE. The California MOT program received accreditation from ACOTE in the fall of 2010. The Austin, Texas, MOT program received accreditation from ACOTE in the fall of 2015. The flex format was approved by ACOTE December 2016 and began in Texas in the fall of 2017. Graduates of the program will be eligible to sit for the national certification examination for the occupational therapist administered by the National Board for Certification in Occupational Therapy (NBCOT). After successful completion of this exam, the individual will be an Occupational Therapist, Registered (OTR). In addition, all states require licensure in order to practice; however, state licenses are usually based on the results of the NBCOT Certification Examination. Note that a felony conviction may affect a graduate’s ability to sit for the NBCOT certification examination or attain state licensure. Students must complete Level II fieldwork within 24 months following completion of all prior didactic portions of the program. The Miami, Florida MOT/Flex MOT programs have applied for accreditation and have been granted Preaccreditation Status by ACOTE. Programs that have been granted Preaccreditation Status must complete an on-site evaluation, and be granted Accreditation Status before its graduates will be eligible to sit for the national certification examination for the occupational therapist administered by the National Board for Certification in Occupational Therapy (NBCOT). After successful completion of this exam, the individual will be an Occupational Therapist, Registered (OTR). In addition, all states require licensure in order to practice; however, state licenses are usually based on the results of the NBCOT Certification Examination. Note that a felony conviction may affect a graduate’s ability to sit for the NBCOT certification examination or attain state licensure. The entry-level Doctor of Occupational Therapy programs (OTD) added to the Austin, Texas and San Marcos, California campuses in spring 2017 are accredited by ACOTE. Graduates of the programs will be eligible to sit for the national certification examination for the occupational therapist administered by the National Board for Certification in Occupational Therapy (NBCOT). After successful completion of this exam, the individual will be an Occupational Therapist, Registered (OTR). In addition, all states require licensure in order to practice; however, state licenses are usually based on the results of the NBCOT Certification Examination. Note that a felony conviction may affect a graduate’s ability to sit for the NBCOT certification examination or attain state licensure. Students must complete Level II fieldwork within 24 months following completion of all prior didactic portions of the program. Students must complete the experiential component of the program within 18 months following completion of the remaining didactic portion of the program. The entry-level OTD programs at the St. Augustine, FL, Miami, FL and Dallas, TX campuses have applied for accreditation and have been granted Candidacy Status by ACOTE. The programs must have a preaccreditation review, complete an on-site evaluation, and be granted Accreditation Status before its graduates will be eligible to sit for the national certification examination for the occupational therapist administered by the National Board for Certification in Occupational Therapy (NBCOT). After successful completion of this exam, the individual will be an Occupational Therapist, Registered (OTR). In addition, all states require licensure in order to practice; however, state licenses are usually based on the results of the NBCOT Certification Examination. Note that a felony conviction may affect a graduate’s ability to sit for the NBCOT certification examination or attain state licensure. For more information about the occupational therapy accreditation process, contact the Accreditation Council for Occupational Therapy Education (ACOTE), 4720 Montgomery Lane, Suite 200, Bethesda, MD 20814-3449, 301-652-AOTA or visit www.acoteonline.org. Complaints about the program that cannot be resolved after following the University’s procedures must be submitted electronically to the ACOTE Chairperson, c/o the AOTA Accreditation Department. The complaint must be submitted as an attachment to an e-mail addressed to [email protected] and must include a signed complaint form, “Complaint Against a Program Subject to ACOTE Accreditation”. The University of St. Augustine for Health Sciences is accredited by the American Board of Physical Therapy Residency and Fellowship Education (ABPTRFE) to offer a Clinical Orthopaedic Physical Therapy Residency program and an Orthopaedic Manual Physical Therapy Fellowship program. ABPTRFE is recognized by the American Physical Therapy Association (APTA) as the accrediting agency for physical therapy residency and fellowship education programs. The ABPTRFE accreditation process is based on the fundamental principle of peer review that enables physical therapists and non-physical therapists from within higher education to make recommendations essential in assuring quality residency/fellowship programs for all participants. The process is guided by transparent standards that are established collaboratively by member programs and professional peers. Accreditation focuses on assuring programs deliver, and participants complete, quality programs to support continuous improvement that enhances patient care and advances the profession. The ABPTRFE Quality Standards provide programs a framework to demonstrate and communicate their commitment to physical therapists through the achievement of its mission, goals, and outcomes. The University of St. Augustine for Health Sciences has been accredited as an Accredited Provider by the International Association for Continuing Education and Training (IACET). In obtaining this accreditation, the university has demonstrated that it complies with the ANSI/IACET Standard which is recognized internationally as a standard of good practice. As a result of the Accredited Provider status, the University of St. Augustine for Health Sciences is authorized to offer IACET CEUs for programs that qualify under the ANSI/IACET Standard. The University of St. Augustine for Health Sciences is recognized by the Board of Certification, Inc. to offer continuing education for Certified Athletic Trainers. The University of St. Augustine for Health Sciences is also approved to operate in a number of states. *Learn more about the University of St. Augustine’s first professional DPT program outcomes including FSBPT licensure pass rate. 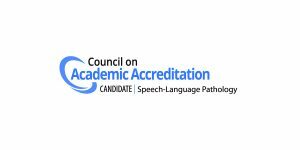 The Master of Science in Speech-Language Pathology at the University of St. Augustine for Health Sciences is a Candidate for Accreditation by the Council on Academic Accreditation in Audiology and Speech-Language Pathology (CAA) of the American Speech-Language-Hearing Association, 2200 Research Boulevard, #310, Rockville, MD 20850, 800-498-2071 or 301-296-5700. This is a “pre-accreditation” status with the CAA, awarded to developing or emerging programs for a maximum period of five years.